We are centered in Christ, called to the core city, and committed to a ministry of interracial and multi-cultural reconciliation. Originally known as Maple Avenue Christian Reformed Church, Maple Avenue Ministries was founded in 1913. Throughout its history, Maple Avenue has played an active role in service both locally and abroad, helping to establish Christian schools in Holland and assisting in Mission efforts to Nigeria, New Mexico, and local migrant workers. 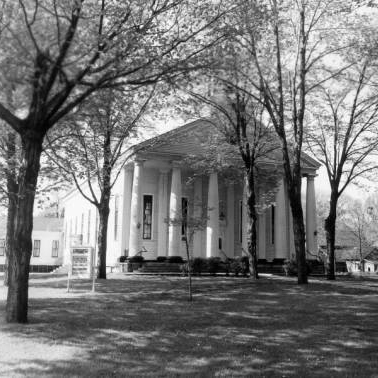 Maple Avenue adapted alongside its changing community, becoming the first union church of the RCA and CRC and appointing the first African-American woman to serve as lead pastor in the CRC. Maple Avenue Ministries continues to flourish today. Maple Avenue Ministries was founded as Maple Avenue Christian Reformed Church (CRC) in 1913 as an outreach of Fourteenth Street CRC, the first English-speaking Christian Reformed congregation in Holland, Michigan. Maple Avenue CRC was also English-speaking from the time of its founding, and its first pastor, W. D. Vanderwerp, though born in the Netherlands, was American-educated, having taken his diploma from Calvin Theological Seminary in 1897. He presided over the purchase of the church’s first building from Fourth Reformed Church. 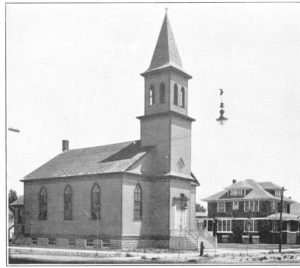 The wooden structure was move from 15th Street to the church’s present location in the spring of 1913, where its front door faced south onto 18th Street. Maple Avenue grew rapidly to almost 900 members by the late 1920s. Under the leadership of Daniel Zwier (1920 to 1945), the church undertook the first substantial new addition to the original edifice in 1935. The addition was built of brick, parallel to 18th Street, and is still in active use, having been integrated into the new sanctuary that was built in 1952, for which Zwier led the initial planning and fund-raising. He also led Maple Avenue CRC and Holland Classis in challenging the strict Calvinist rigor of Herman Hoeksema, who had preached controversially at Maple Avenue as pulpit supply in 1913, when he was still a student at Calvin Seminary. Brilliant and combative, Hoeksema eventually seceded from the CRC because of its support for the doctrine of common grace and went on to found a new denomination: the Protestant Reformed Church. Maple Avenue CRC engaged actively in the establishment of Christian schools. Daniel Zwier took a keen interest in this initiative, leading Classis Holland in the funding and building of Holland Christian High School in 1924 and winning election to the presidency of its board. The church assisted denominational outreach overseas in Nigeria and domestically to the Navajo people in New Mexico and to migrant laborers, principally from Mexico, who came to West Michigan to harvest abundant crops. 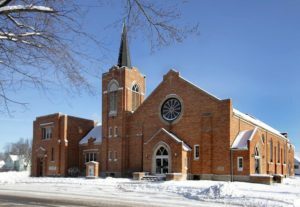 Maple Avenue’s involvement with the denomination’s commitment in Bravo, Michigan, south of Holland, continued for over fifty years until Bravo CRC became independent. The congregation assisted refugee families from wars in Hungary in the 1950s and from Vietnam in the 1970s. During World War II, 86 young men from Maple Avenue joined the armed forces, many of them serving overseas. Throughout this period, Maple Avenue CRC remained ethnically homogeneous, socially conservative, and partial to American fundamentalism. Members were expected to avoid movies, gambling, and especially dancing. The most severe challenge to moral standards came from marital discord and divorce. Church records cite women more frequently for sexual infractions than for their many positive contributions, which were slow to be acknowledged. Women were allowed to vote in congregational meetings for the first time in 1963 and were elected to the consistory for the first time in 1976. Though Holland’s population increased rapidly after 1950, Maple Avenue’s membership declined steadily, beginning in the mid-1960s, as the neighborhood changed. A growing proportion of newcomers to Holland were from Latin America, and many of them settled in the vicinity of Maple Avenue. As they moved in, Dutch and Anglo residents feared a loss of property values and moved out, thereby ceding the area to lower-income residents and ensuring a reduction of property values. 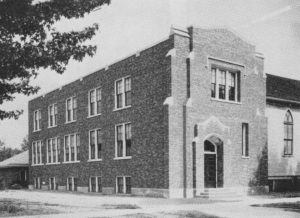 Many core city churches moved to the suburbs, but Maple Avenue CRC remained along with Fourth Reformed, which had sold Maple Avenue its first building. At first, Maple Avenue CRC carried on as if nothing was changing. In the 1960s, with housing for new residents badly needed, the church purchased and demolished several nearby houses to make room for a parking lot. With the appointment of Eugene Bradford as pastor (1974-1980), however, the church took a new direction. He urged the congregation to “work the neighborhood,” and for the first time he appointed women to standing committees. Bradford’s reforms continued under Henry Dykema (1981-1990) and Peter DeHaan (1991 to 2005). Maple Avenue Ministries emerged from Maple Avenue CRC during the pastorate of David Sieplinga (1996-2003). His appointment was co-terminous with Peter DeHaan’s, in order to accommodate different styles of worship, but Maple Avenue Ministries grew rapidly and eventually subsumed its counterpart. Sieplinga meant “ministries” seriously, encouraging the church to be a source of practical renewal and positive social change, in addition to being a center for worship. He took the necessary steps to make Maple Avenue Ministries the first union church of the CRC and the RCA. Several interns from Western Theological Seminary served with Sieplinga, and one of them, Denise Kingdom-Grier was eventually hired in 2009 to become the lead pastor of Maple Avenue Ministries. She is the first African-American woman to hold that position at Maple Avenue and in the CRC. Cox, John. D. The City in Its Heart : The First 100 Years of Maple Avenue Ministries, Holland, Michigan, 1913-2013. Holland, MI: Van Raalte Press, 2014.